The craze of taking selfie has taken the form of an addiction, particularly among teens. Thanks to the selfie culture, teens have found a new way of getting themselves in a socially awkward position, but this does not mean that you simply sit idle and do nothing about it. You need to play a more active role in their safety, something that has been made so much easier in today’s time due to the availability of powerful parental control apps. If you are not taking your kids’ addiction to selfies seriously enough, you are clearly being negligent and ignoring your responsibility as a parent to protect them. Not sure what you’re protecting them from and why? You are not going to like this. Selfies may be taken just for fun, but they can easily get the attention of online predators. Teens, especially girls, often upload inappropriate images thinking that only their close friends can see them, but the truth is that tech savvy people hardly need a minute to break the privacy wall and get access to those private images. This is how cyberbullying, identity theft and other serious online crimes take place. Some people even blackmail teenagers and their parents, threatening to leak these images on the internet. It is important to discuss these dangers with the teens so that they are more responsible when taking selfies and are more careful about what they upload on social networking sites. As a precaution, you should consider using parental control apps to supervise their social media accounts and review photos they are putting online or sharing with others. This would allow you to react quickly in case the need arises. 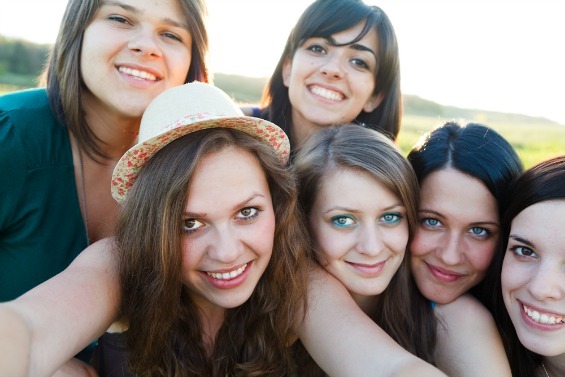 Teens certainly do not know which selfie is appropriate to upload and which should not be posted online. Sometimes, an ordinary selfie taken in a provocative pose or clothes can become viral, getting attention of mean teens who then embarrass the kid with their rude and blunt comments. In the same way, images with a sweet friend from opposite gender raise rumors as some friends give negative meaning to the whole relationship. These and various other little things affect the reputation of teens not only in school, but also in their social circle. Parents should openly talk about these sensitive issues to teens, as these selfie may haunt the teens throughout their life. Teens posting selfies on their social networking accounts often judge themselves and how good they look on the number of likes or comments they get on their pictures. If the response is not what they had expected, their self-esteem goes down and they consequently become depressed. Taking a perfect selfie that shows the best in you and hides the worst has become an obsession for teens, as no one wants others to say that he/she is obese, too thin, has oily skin, has too many pimples, has dark complexion, is short, etc. Comments like these on selfie are very common and these are actually the comments that cause depression. Teens are so sensitive that they start to feel that everyone else is right, and that they are not beautiful or attractive or smart. One thing leads to the other, resulting in chronic depression. If parents supervise the social media accounts of kids and read the comments section on regular basis, then they can surely save the teen from getting depressed over these little things. They also need to have a talk with teens on the real concept of beauty. Majority of the organizations check the social media profiles of the potential job candidates during the background check. Taking and posting wild selfies can leave a bad impression. Teens may have changed by then, or they may have taken these pictures just for fun, but the hiring personnel know and believe only what they see. It is due to the permanence of online content that teens should be very careful while uploading any selfie online. Teens may not understand this thing now, which is why parents should play their role. Stop the teens from uploading any selfie that can give a negative image about them or that can affect their repute. Teens may not know what they are doing, and how it can affect their life in the longer run, but parents surely do, so it is their responsibility to keep teens from uploading inappropriate selfies. This entry was posted in Parenting and tagged Parental, Selfies, Supervision, Teens.